Ever wondered how action stars fly in the air and perform such fabulous stunts on screen? 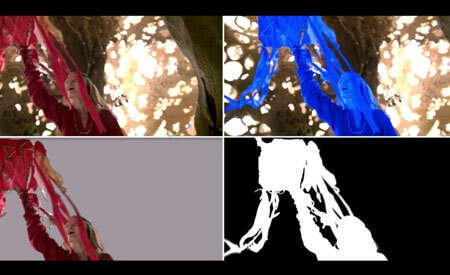 VFX and rotoscoping is where the answer lies. Ultra is one of the best studios for rotoscoping which is adept with the latest technologies, world-class equipment and highly trained artists. Rotoscoping is a technique of compositing a manually created matte for an element on a live action plate over another background. Rotoscopy of characters or objects is performed to produce alpha mattes for VFX Compositing, Stereo Conversion or Color Correction. ULTRA is one of the best rotoscoping service providers which can provide alpha mattes and splines files for ultimate flexibility during comp. With multiple rounds of quality control, we make sure your deliverables are perfect & on-time, every time. We can deliver Nuke or Silhouette Splines, Hard & motion blur mattes Oreven for custom deliverables as per requirement can be done. Wire removal and rig removal is another aspect that VFX covers. Ultra is one of the best VFX studios in India that uses the latest rig removal software to give you a clean output. Paint/prep is a technique of digital Paint-in of missing elements or paint-out of unwanted elements from footage. Paint/prep includes wire/rig removal, beauty, reflections, and everything in between. Our efficient team at ULTRA can provide a clean plate generation, marker & wire removal services, stereo paint with multiple level of quality control supervision to meet scheduled deadlines. We can deliver Nuke scripts, rendered clean plates or even offer custom deliverables as per requirements. So if you have been in the search for rotoscoping companies, Ultra is a name you can always trust.